320 Delray Drive enjoys the natural surrounding of Rouge Park and proximity to Donald Cousens Parkway, Major Mackenzie Road, GO Train. 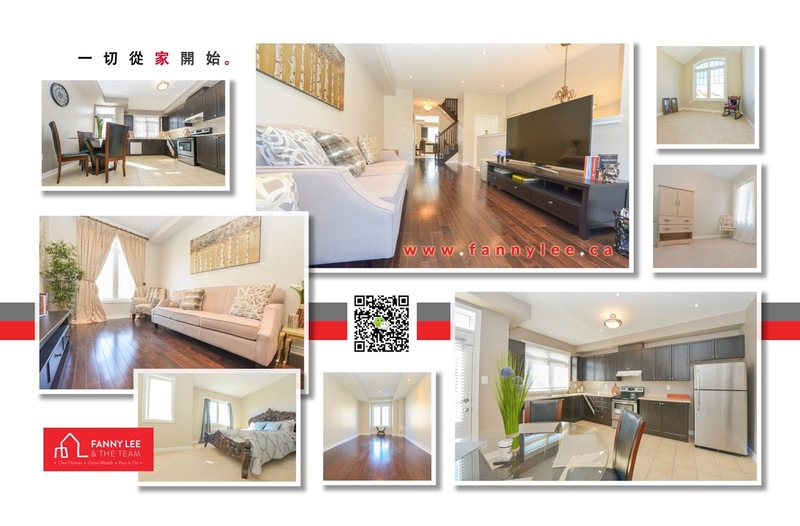 This 3+1 bedrooms freehold townhome locates less than 5 minutes from elementary schools, parks, shops with access to Bur Oak Secondary School (Ontario's Top 10). It will make a great home for a young family. [MLS: N3614803] "Gorgeous Sunfilled Freehold Town Home. Loaded With Upgrades And Features. Hardwood On Main Fl. 9Ft Ceiling, Balcony, Stone Veneer, Modern Kitchen With Ample Of Cabinetry, Stainless Appliances, Backsplash, Large Eat-In Kitchen. 4Pcs Large Master Ensuite, Oak Staircase. Family Rm Can Convert To 4th Bedrm. New Pot Lights. No Maintenance Fee. Close To Park, Top Rank Bur Oak Secondary School And All Amenities. Move In And Enjoy. **** EXTRAS **** Stainless Steel (Stove, Fridge, B/I Dishwasher), Vent Hood, Washer And Dryer, All Elf's, All Window Coverings. Minutes Away From Go Station And Entrance Overlooking Pond View. Excluded Entrance Chandelier"